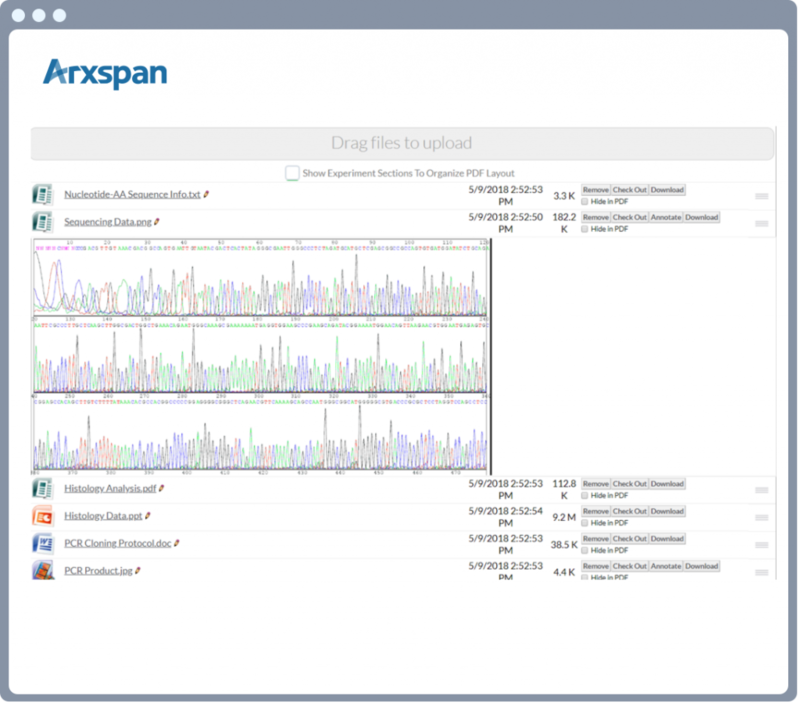 Deployment of ArxLab Notebook saves time, reduces budget, and eliminates the complexities of deploying a robust, fault-tolerant application service. 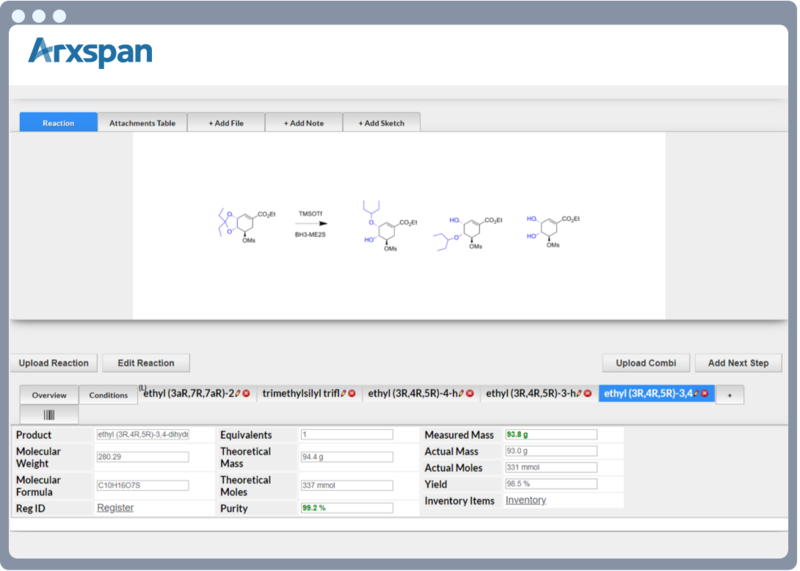 Enjoy the benefits of an intuitive and easy to use ELN that is searchable and sharable, efficiently managing chemistry and biology data. Flexibly manage your scientific workflows while never losing track of your data. 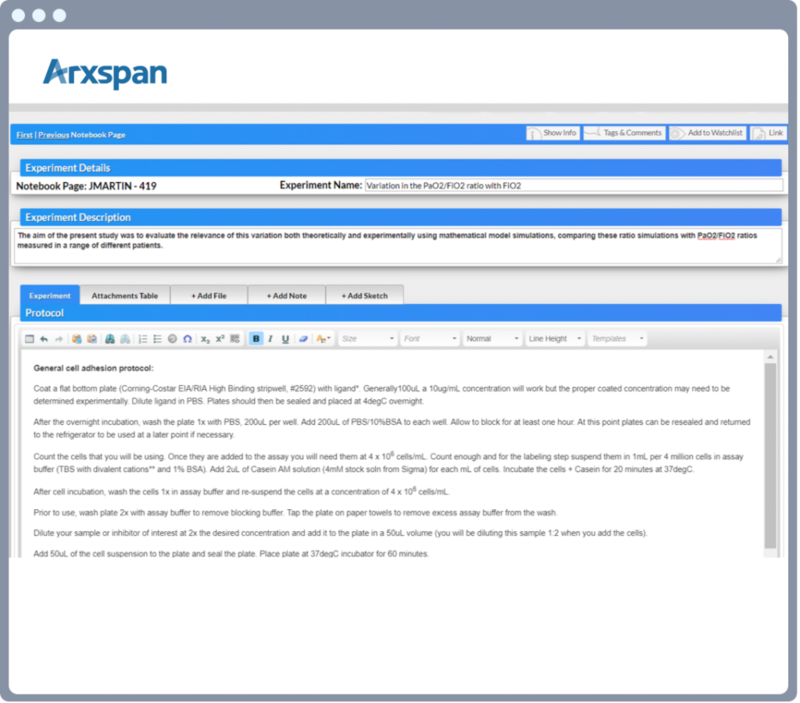 Arxspan’s products are 100% web-based applications used as enterprise-wide data management and collaboration solutions. The platform provides the opportunity to manage all aspects of laboratory process and workflow in a single system without the need for any custom code.